4 Gauge is the best natural pre workout supplement on the market with no side effects. If you want the safest and most effective formula to maximize your gym time then this is it. Benefits include boosted energy, enhanced strength, laser focus and increased endurance. This science backed formula will allow you to destroy your workouts with maximum results. It’s highly effective and safe. This is down to the scientifically proven ingredients which have been dosed according to the clinical studies. These carefully picked nutrients target the areas of performance you need the most. They help improve your energy, power output, muscle pumps and mental focus. Formulated using 100% natural ingredients, there are no artificial colors or flavorings and no proprietary blends. Containing top choices like Caffeine and L-Theanine (smart caffeine), L-Citrulline Dl-Malate, Red Beetroot and Rhodiola Rosea. Feedback from users had been overwhelmingly positive. 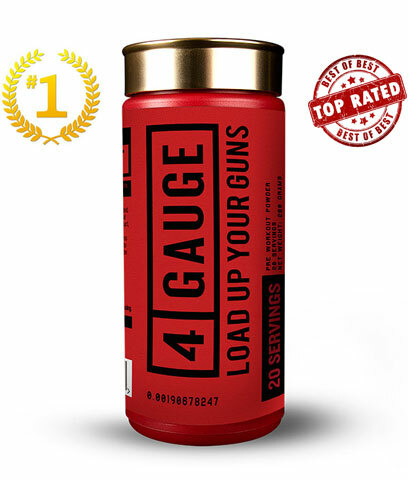 Many customers say they have had the best workouts of their life using 4 Gauge. Probably the only real drawback is the price. 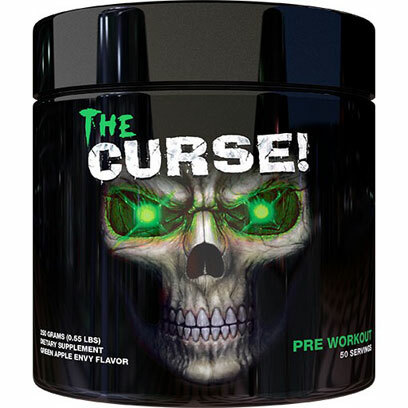 It is a bit more expensive than other pre workouts but it is worth every penny. At the end of the day this is a a top quality product. We suggest you read our full review. It covers everything you need to know about the ingredients, it’s effectiveness, the servings and how well it will work for you. Our runner up is Pre JYM from JYM Supplement Science. This is a solid pre workout containing some great ingredients. Although it’s a high quality product there are some annoying problems with the formula that stopped it from claiming the top spot. Containing some of our top choices for a pre workout such as Caffeine, Creatine and Citrulline, you should see some energy, strength and endurance benefits. However there were plenty of ineffective ingredients included that just don’t have any solid scientific backing. There are unnecessary nutrients too such as the inclusion of BCAA’s. These are not needed for a pre-workout and only increase the price up for you. Out of the 13 ingredients on the label only 5 are going to be beneficial for you in a pre workout. All these filler ingredients make this a very large pre workout shake indeed. Do you really want to feel bloated before hitting the gym? Another issue is the side effects. If you are sensitive to caffeine then the high dose of 300mg will potentially cause headaches, stomach issues and energy crashes. 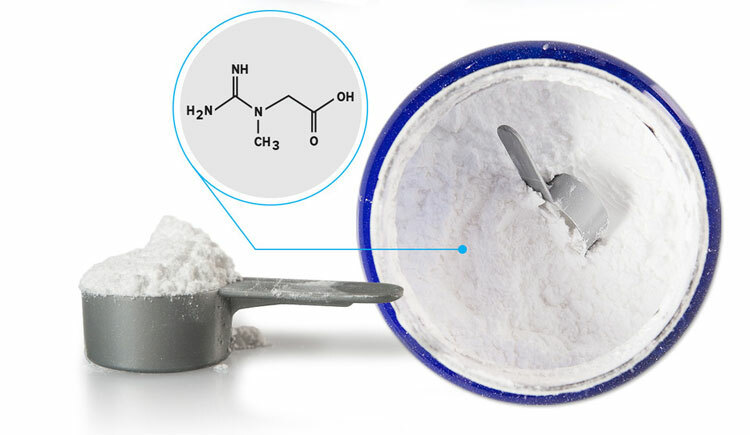 The beta-alanine content is also an issue because many users have reported it causes paresthesia an itching/scratching feeling across your hands and scalp. This is for many very annoying and distracts from your workout. 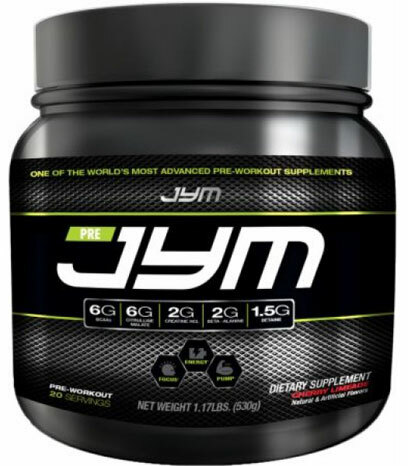 If you want to read our full write up on pre JYM then click the link below. In third place we have Mr Hyde from ProSupps. It’s one of the better options on the market for high energy. 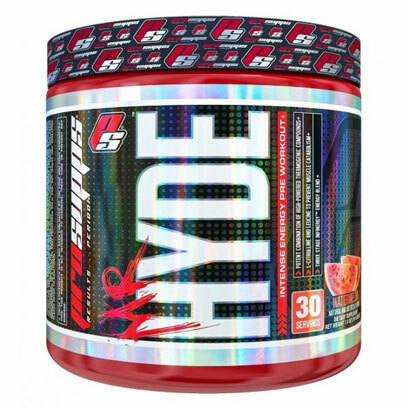 It contains a very high dose of Caffeine and includes L-Citrulline and Creatine at an affordable price. Unwanted side effects & some ineffective nutrients let this one down however. It does have good and bad points, but the reason it didn’t make a higher place is because it contains proprietary blends. We can’t really determine the overall effectiveness of the formula without knowing the exact dosages of all the ingredients. We can say that the very high amount of caffeine is likely to give you side effects, especially if you are sensitive to it. 376mg is a huge dose, so be prepared for the energy crash and potentially issues with insomnia. Again there is also the potential chance of side effects that comes with anything containing Beta Alanine. An itchy feeling across your hands and face that can ruin your workout. 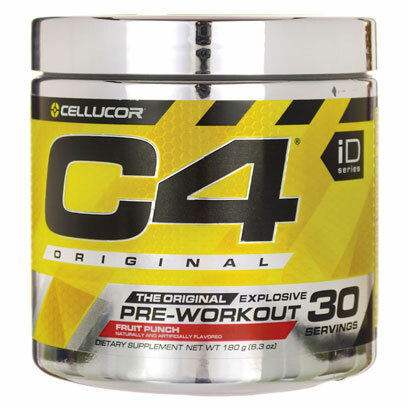 Coming in at fourth place is the well-known C4 Original from Cellucor. Another fairly good pre workout containing well dosed caffeine, creatine and beta-alanine. It is pretty good for energy but falls down in other crucial areas. Disappointingly it contains proprietary blends that ultimately pulls it down the rankings. We can’t really analyze how effective the formula actually is. Not all of the nutrients in this formula are effective and some of them can even give you side effects. They should remove the nutrient Arginine AKG which has been proven ineffective for muscle pumps. Replace it with the amino acid Citrulline, proven to promote blood flow, and it would be a much more effective formula. We also found the energy effects of C4 wore off long-term. We were unable to get the same feeling after a few weeks of use, feeling quite anxious instead. You can read are full analysis of C4 original by clicking on the link below. Finally we have The Curse from Cobra Labs. There are some solid choices for ingredients including Caffeine, L-Citrulline, Creatine plus it’s cheap to buy. You should expect some energy and focus during your workouts. Again this has some disappointing flaws that prevent it ranking higher. Using proprietary blends is never a good thing. You can’t determine what exactly you are putting in your body and The Curse has quite a few of them. Great as a light energy pre-workout, ingredients such as L-Cirulline are underdosed. Plus you always run the risk of side effects with the beta-alanine. You tend to get what you pay for, so while it is one of the cheaper offerings per serving it doesn’t give you the same performance options. It’s a great budget option and just manages to make it into the top 5. You maybe overwhelmed with so many options so use this simple guide will help. The Ingredients – have they been scientifically proven? The Dosage – have they used the right amount of each ingredient? 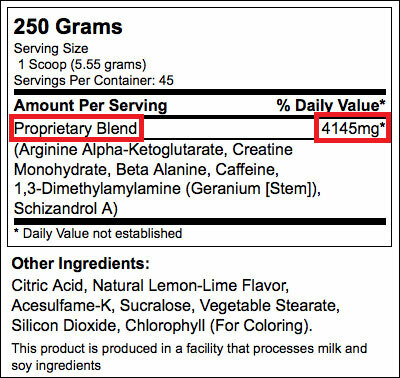 No Proprietary Blends – is every ingredient and amount listed on the label? 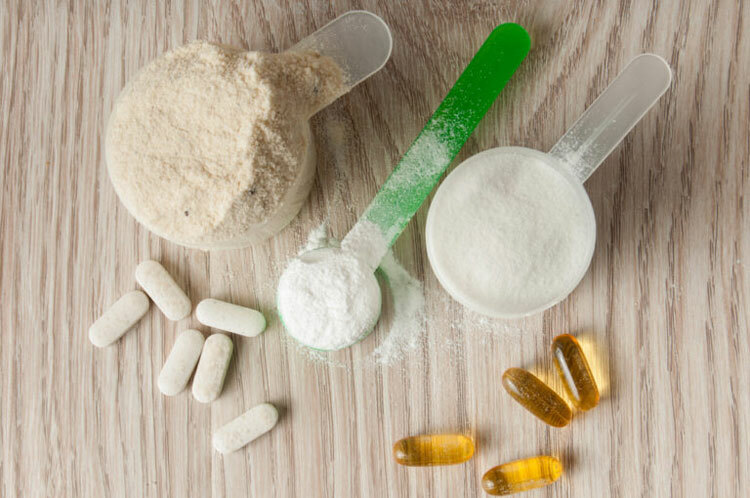 Although these are the 3 main factors you need to consider with current pre-workouts you may need to look at other aspects depending on the supplement. It’s a tricky business and some get it right while others fail miserably. Or the formula maybe be awesome in one area but fall down in others. We encourage you to always look for the Clinically Proven Ingredients. These are nutrients that have been backed up by scientific studies and rigorously tested. Side Effects – Not only do you want something that is effective but safety is equally important. There are many ingredients that have unwanted side effects and could cause you issues both in the gym and long term. So make sure everything you take is completely natural. Equally as important is how much of each ingredient you are getting. This is a major problem for poorly formulated pre-workouts. On the one hand they maybe using the correct ingredients but on the other they may not be using enough or even using too much. Such problems are most common in Proprietary Blends, in fact it is a major issue within the supplement industry. Therefore is important to know your ingredients if you are to get the very best out of them. Caffeine – You will find this stimulant in most pre workouts. Remember that we all have different tolerances, some of us may need to take 2 servings rather than one. You can’t do this with all supplements though because it could cause you unwanted side effects. The general recommended safe limit in one serving is around the 300 mg mark. Therefore if you want to take a double serving of a pre workout, check that it has 150 mg of caffeine or less to be safe. This is where a collection of ingredients/nutrients are shown under one formula. These are actually easy to spot. They are normally labeled as “Performance Complex” or “Energy Matrix” and are best avoided. What happens is you get a blend of both effective and ineffective ingredients. This is an attempt to mislead you the consumer. The product is advertised as containing the best ingredients but what you are really getting is an ineffective dose. Most of the time cheaper and less potent ingredients will take priority acting as filler. This happens all the time and while may save the company money it is not doing you any favors. Unfortunately what happens is consumers are fooled into believing it works because of the placebo effect. This only strengthens the company’s reputation buts leaves you further away from your goals and out of pocket. As you can see 4 Gauge by Roar Ambition is currently your best option. This explosive formula will improve your strength, energy levels, muscle pumps and focus without unwanted side effects. That’s because it has the best ingredient profile on the market at the moment. We highly recommended if you want to maximize your results in the gym or you want to get the edge in competitive sports. It’s a 100% natural product that doesn’t contain any sweeteners or flavorings.